Oscar is looking high and low for Timothy’s brother Teddy, a little wooly mammoth on the lam. His search takes him to a museum, where Teddy has slipped in. It’s a night of sleuthing, a few magical encounters and exploration of history, science, artwork, artifacts and oddities that Oscar won’t soon forget (and neither will readers). Curious, clever and inviting. Predicting that this will be widely requested to be read aloud at our house this week. 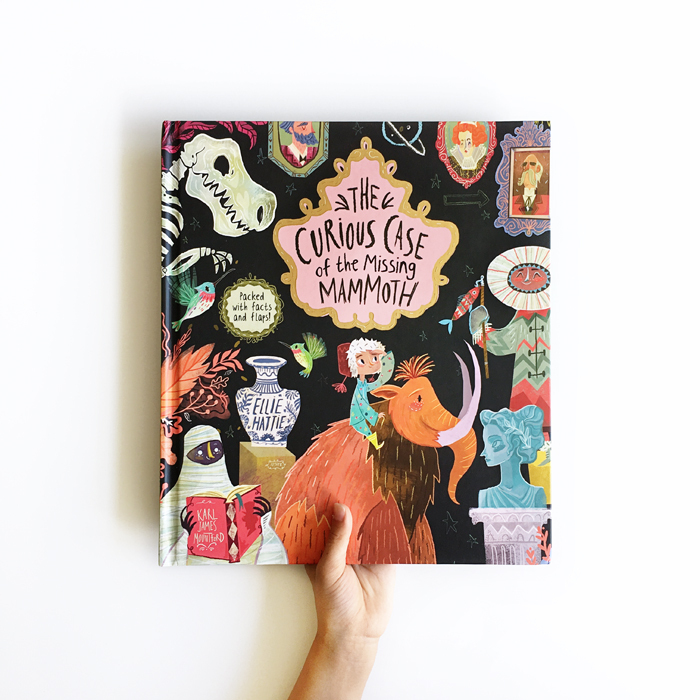 The Curious Case of the Missing Mammoth was written by Ellie Hattie, illustrated by Karl James Mountford and published by Little Tiger Books.